While I am not much of a writer, I have been known to write a report if I find something intriguing. With the release of the Black Thorn demo, UbiSoft's first foray into Rainbow Six: Rogue Spear I did a small report on it. The retail release of Black Thorn was delayed with the events of September 11, 2001 when hijackers crashed 2 airliners into the World Trade Center in New York City and at the Pentagon. Once released, it made for interesting gameplay between the US version and the rest of the worlds versions. UbiSoft deleted one mission and altered another by substituting a bus station for the terminal of an airport. The reports are an interesting read if you are a fan of the R6/RS series. 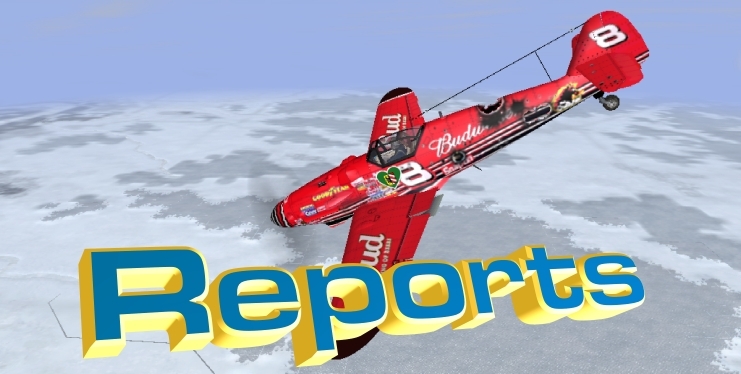 I also am into flight sims and with the chance to review and write a report on iL2: Forgotten Battles, I jumped at it. After flying part of a campaign and working in the Full Mission Builder, I wrote my report as a special to GhostRecon.net. In a small way, flight sims such as iL2: FB is similar to Ghost Recon except the fact you fly WW2 aircraft. Different aircraft are used for different roles just like the soldiers are in GR. I have had GR since the game was first released as a demo in November of 2001 (or was it October?) running it on a 500mHz Celeron from Gateway with onboard sound and video. I slowly built a system to play Ghost Recon with to the system I have today (specs can be found elsewhere on this website) with an Athlon XP 3200+ and a Leadtek GF FX 5950 Ultra video card with 256MB of VRAM. With the system I have now, I thought it would be good to check out what effects AA and AF has on system preformance in GR when enabled along with all the graphic bells and whistles that GR will show.